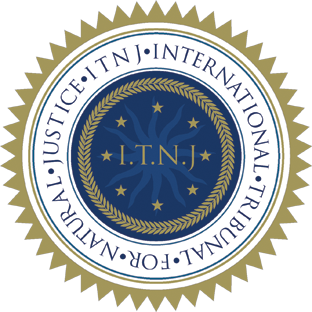 The first case accepted for hearing before the ITNJ is listed as Unified Common Law Grand Jury of Southern Africa (‘UZA’) v Republic of South Africa, and Constitutional Court of South Africa. 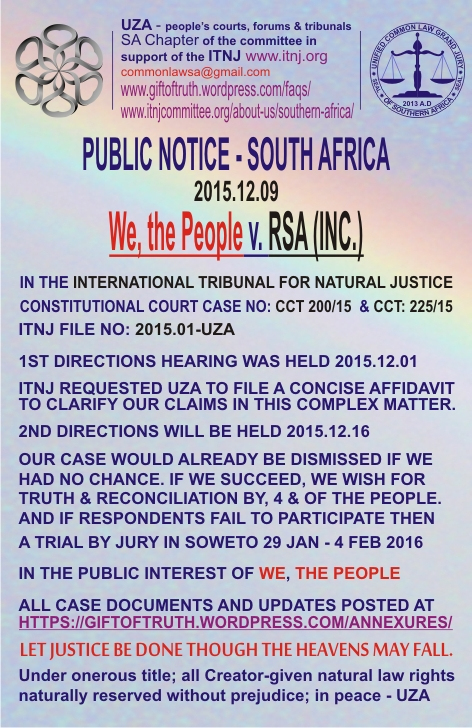 Directions Hearings (preliminary hearings) were held on 1 December and 16 December, 2015. Summaries of these hearings are posted here, and links to the audio and video recordings will be published in the next issue of The Sovereign Voice. Our court case will reveal the truth.